Nepal has been ravaged by a magnitude 7.8 earthquake for the past few weeks leaving death, debris and destruction in its wake. Volunteers, military, and foreign aid rushed to the epicenter of the earthquake to look for survivors who were trapped under the rubble of collapsed buildings and historical sites. The scene of devastation is heart wrenching especially when you see children amidst the debris. But in times of tragedies where children are the most affected, the kids’ resiliency comes to the fore with the help of art. 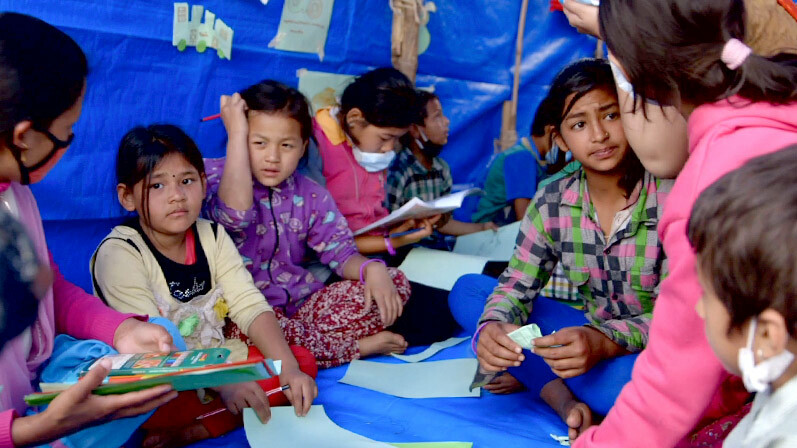 A group of people, namely those worked at Nepal Children’s Art Museum, used their time not to search for the remains of their fellow countrymen but to aid children in surviving this tragic event in their lives. What the staff of CAM did was to gather young survivors and taught them how to do art to keep their minds off the tragedy. The Children’s Art Museum is also gathering funds through crowdfunding in order to bring art to other areas of Nepal that has been struck by the earthquake. They have recently raised around $4,000 out of their target $20,000. Their goal here is to help rehabilitate young children who were caught up in the earthquake’s wrath. According to Nistha Shrestha, the staff of CAM is hoping that through art they’ll be able to help young survivors deal with the effects of one of the deadliest earthquakes that hit Nepal. Shrestha further stated that art is useful when it comes to tragic events such as the recent earthquake that took thousands of lives because for children, everything is alright with the world. By letting the children draw, play, color, and other enjoyable activities, the staff of CAM is hoping that the children won’t lose their childhood and their imagination not to mention learn to smile more. The staff of CAM actually teaches young survivors on the various aspects and techniques of drawing. Among the activities that they do include drawing, coloring, making various art projects, and even encourage children to tell stories using the puppets they made. Shrestha further stated that there are those who haven’t experienced any form of recreational activity who are now being exposed to different types of art. Although art isn’t exactly what many need in their hour of need in Nepal, it can be helpful in terms of rehabilitating the children. Through art, many kids feel safer, comfortable, and most of all happy. Nistha further stated that the initiative of CAM seems to be working on the children as many linger after the day ends. 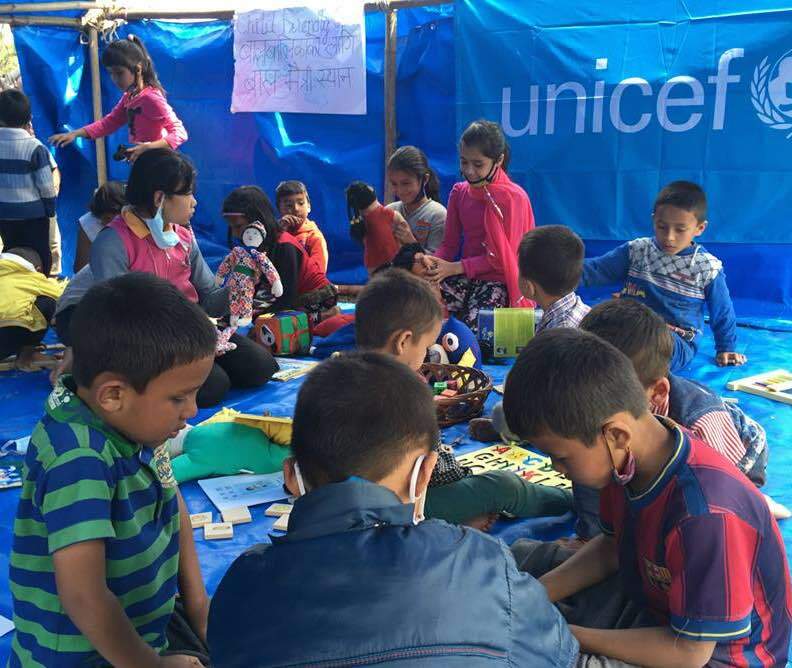 The children now have something else to focus on instead of the death and destruction that they see around them. The staff of CAM often ends up reassuring the children that they will be back the following day. Only then will the children leave once they get the assurance that the staff of Nepal Children’s Art Museum will be back the next day.